Wistia is a video-marketing platform for businesses. 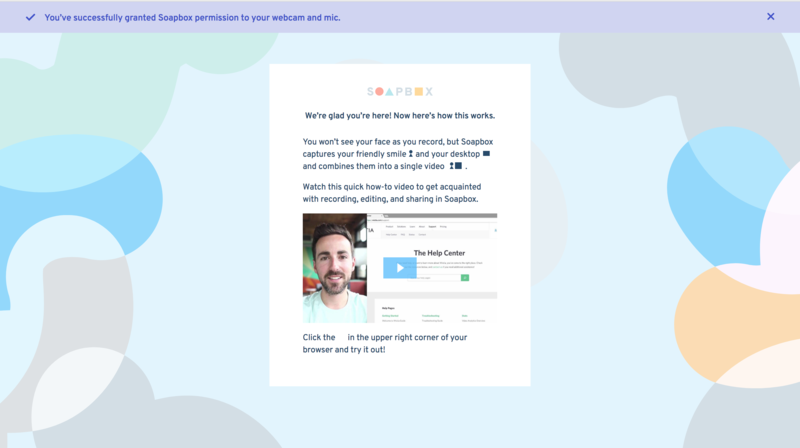 Soapbox, a free Chrome Extension, lets users simultaneously record video with their webcams and with screen captures. One look at Wistia's marketing shows that they are no stranger to using video as a way to engage with audiences. Moreover, they have a distinct, friendly tone that is evident in their product and company announcements as well as in their blog posts. There is no exception in the way they welcome new users to the Soapbox platform. Soapbox uses the first two modals to engage with copy in order to establish who the customer is. Incorporating casual text into this stage of the onboarding process breaks the ice for a new user. Soapbox also uses this copy to contextualize why a new user would want to give up certain personal information. The last window brings in the video—but not just any video. 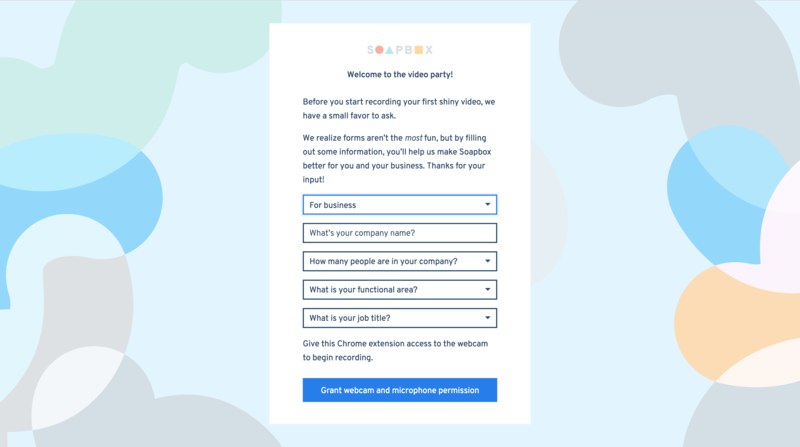 Since Soapbox is slightly different from Wistia's other video-hosting capabilities, they use the tool in their onboarding to show new users what a Soapbox video looks like. Using one of their team members' friendly faces to demonstrate the tool feels genuine and authentic. 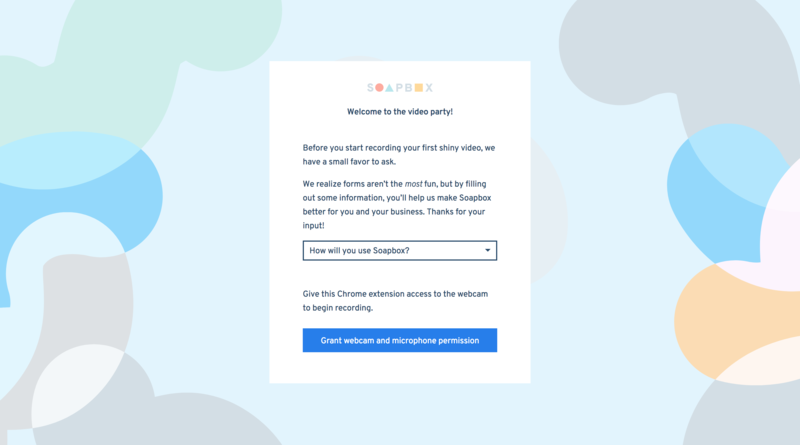 Whereas tutorial videos often display animated graphics or screen-captured demonstrations, new users get to see a Wistia team member walk them through the software.